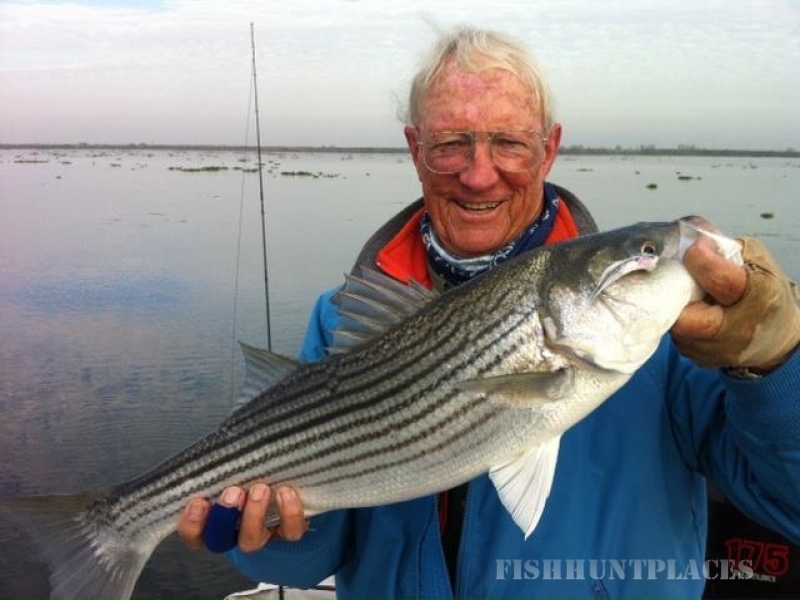 DeltaStripers.Com is dedicated to guided catch-and-release fly fishing for stripers and large mouth bass on the waters of the Sacramento/San Joaquin Delta. Your fishing platform is the "No Nonsense," a fully equipped Triumph 215 offshore center console tournament skiff powered with a big block Suzuki 175. Fast, quiet and, "No Nonsense". A fishing day starts about sunrise and lasts nine to eleven hours with a break for lunch. 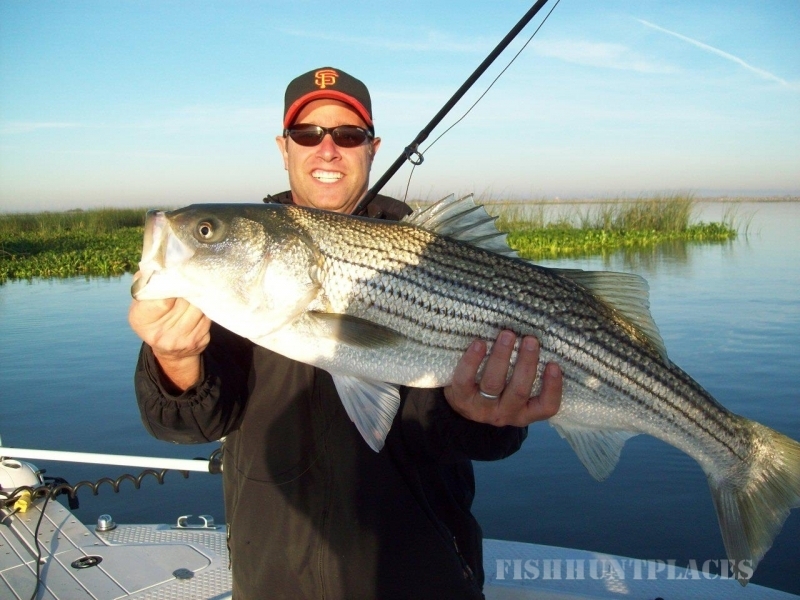 While catching lots of fish is never guaranteed, a typical fishing day will yield from six to ten stripers per rod or a dozen or more bass per rod. Some days are much more productive and yes, some days are a little tougher! However at the end of every cast there may be that 35 pound striper or a 15 pound largemouth just waiting to rip that rod out of your hands. Come spend a day on the delta. I can't guarantee you'll catch fish but I'll guarantee you'll have a great day on the water!